Velocidad Racing takes a trip to Altair Engineering! 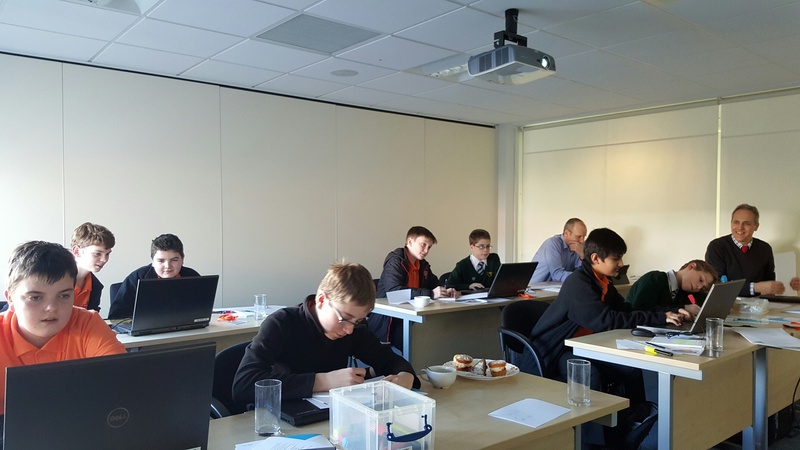 On February 9, 2016, Velocidad Racing visited Altair Engineering Ltd. in Leamington Spa. 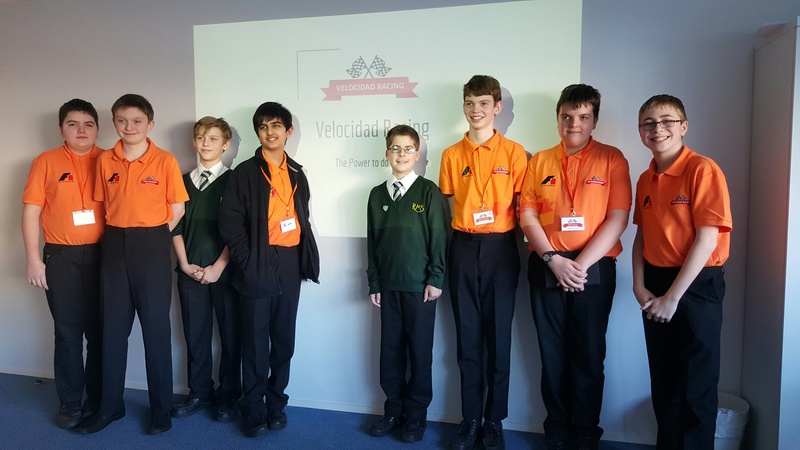 Velocidad Racing are a self-formed, highly motivated F1 In Schools team of year-8 students from Robert May’s School in Hook, Hampshire, England. 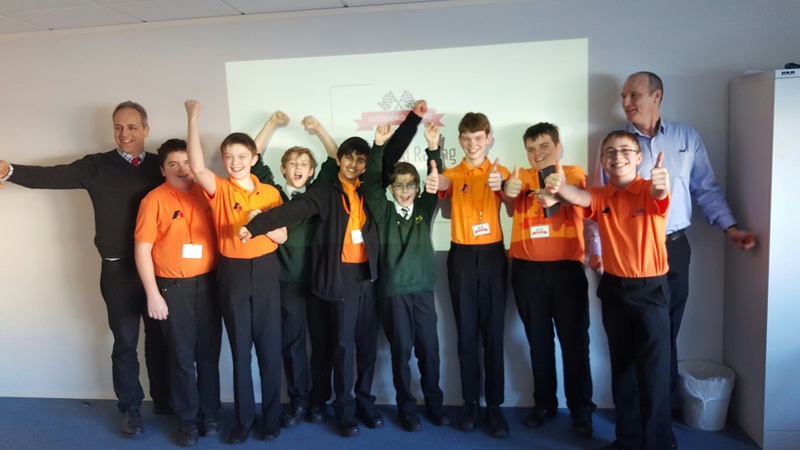 They are expecting to build and race their first-ever CO2-powered model car named ‘BumbleBee’ at a regional competition on March 2nd. 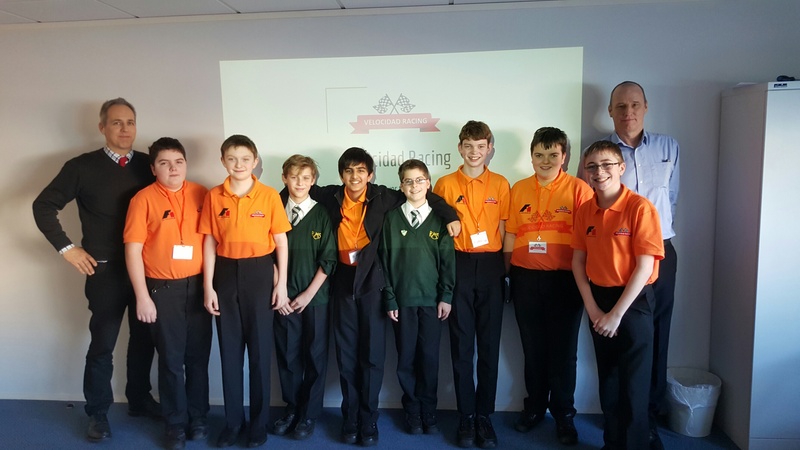 Team leader Harry Wall and communications manager Alfie Payne found out about Altair’s HyperWorks sponsorship in-kind academic program through internet research and arranged for 8 students and 2 teachers to attend a training workshop day. To begin, the students introduced themselves and their car concept by presenting a well-organized power-point. 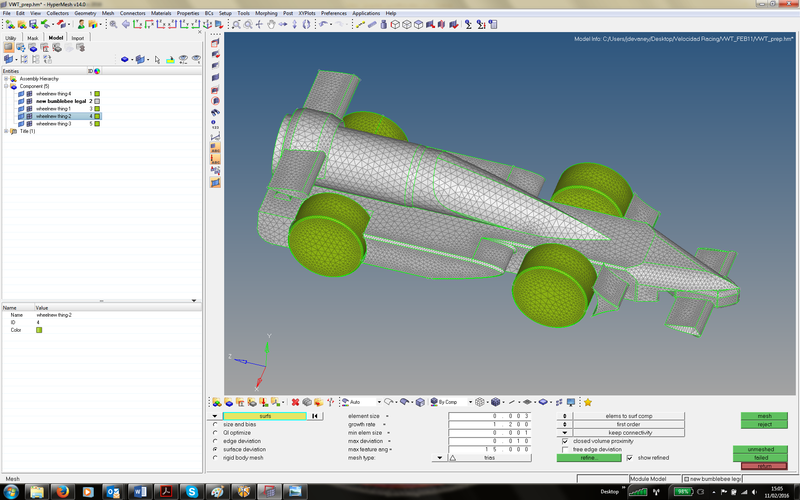 Next, they learned about the physical forces which will affect their car’s performance by drawing free-body-diagrams. Then, they explored aerofoil shapes using the open source NASA FoilSim III software in order to understand the difference in cross section profiles which are used to create lift and downforce since their car will have both front and rear 3d-printed wings. In the afternoon, the students actively participated in a solidThinking Inspire tutorial. Working in pairs, each team achieved a topology-optimized c-clip component which they also analyzed for stress, displacement, and modal performance. 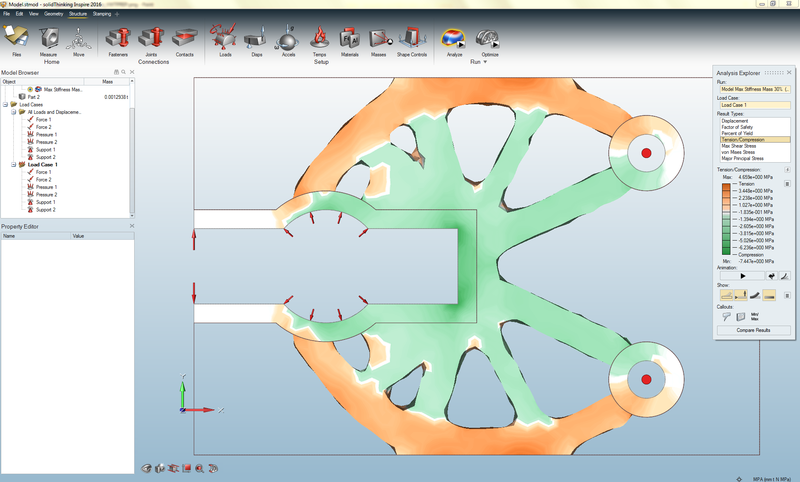 Inspire is an easy-to-use software package which helps designers create efficient, lightweight parts. By using the finite-element method together with algorithms from Altair’s OptiStruct, Inspire could help Velocidad Racing save weight. One of the main factors which the team identified as affecting the car’s track-time is aerodynamics. 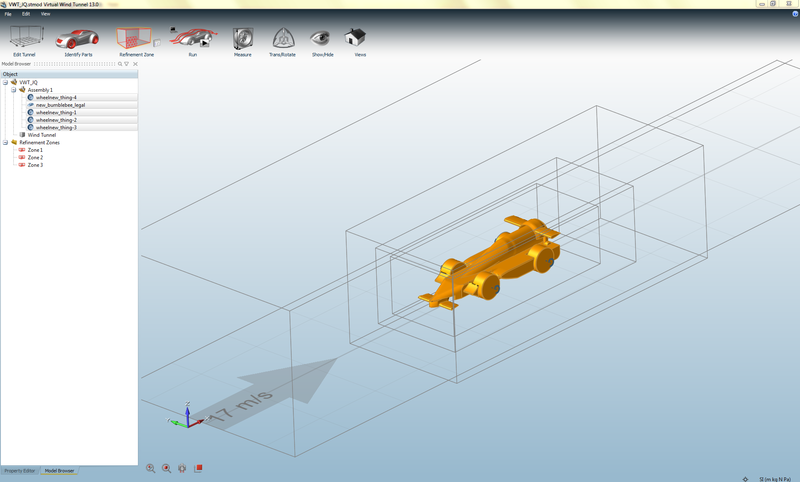 Therefore, the remainder of the workshop focused on setting up models in Altair’s Virtual Wind Tunnel. 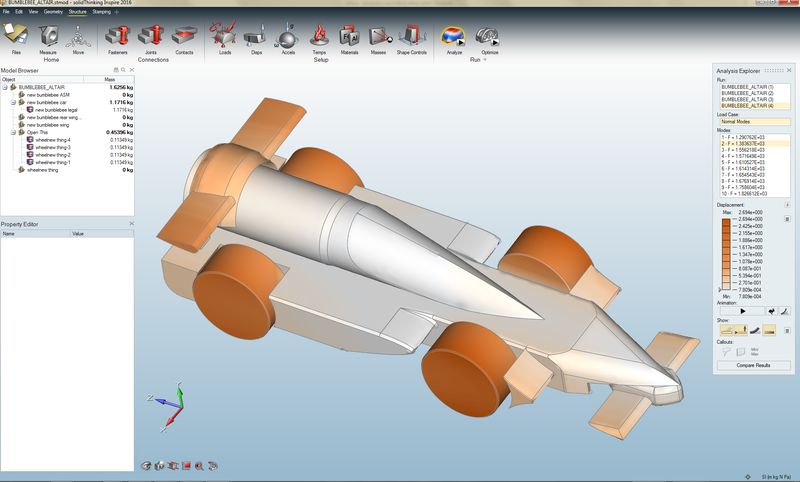 In the same easy-to-use platform as Inspire, the team hopes to investigate aerodynamic performance and virtually test design alterations and wings before building their car.